The effect of music on the feelings of the listener is central to the concept of raga. Derived from the Sanskrit word for “coloring”, raga (also known as “raag”) describes a millenia-old system of playing and performing, used in Indian classical music traditions, which determines not only the mood, but also structure, purpose, and even appropriate time of day for a given composition. A playlist of Indian Raga – listen while you read! At its (over-simplified) basics, a raga is a melodic framework with which a musician can improvise; but that’s just scratching the surface. Megh Malhar, for example, is a raga that, according to legend, brings rain when it is performed (“megh” means “cloud” in Sanskrit). To try and sum up raga in one blog post, would be foolish – for those of us whose ear has only ever been attuned to the European classical scales, modes, structures and concepts of composition and improvisation, there’s much to learn. Perhaps what makes raga most special is that there really is no direct analog for it outside of Indian music. As a singular form in the world of music, Raga's has been influencing experimental and electronic music and even music technology itself for decades. With the launch of Indian Raga by Gravitas Create, we’re taking a look at some of these influential developments. One traditional instrument on which raga is performed is the tambura or tanpura. A drone instrument, its strings are tuned to the raga of a piece and played with a light touch as a kind of drone bed over which other instruments – most often sitar and voice – are laid harmoniously. Of course, you can’t always have a tanpura with you – or someone who can play it. 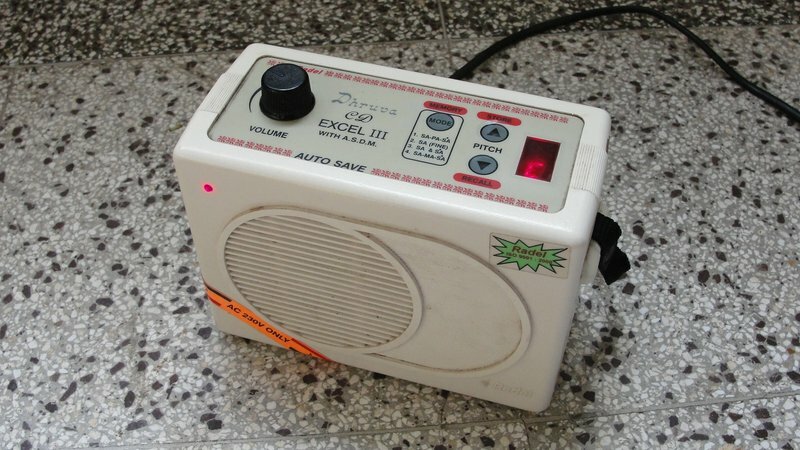 Adapted from a harmonium, a shruti box is a bellow (pump)-based instrument used specifically for making drones, similar to those of a tanpura. If the sounds in this post are familiar – even if you didn’t grow up in India – you can thank a cadre of passionate Indian and International musicians for spreading the music worldwide and encouraging a cross-pollination. Drone is very important to Western experimental music, and you can trace much of this importance to Pandit Pran Nath, who instructed the likes of Terry Riley, La Monte Young and Jon Hassell and introduced them to raga and Indian instruments. Musician Talvin Singh, classically trained in tabla, brought the instrument to electronic music in the 90s. In addition to collaborations with Björk, Siouxsie and the Banshees, Massive Attack, and others, he won Britain’s esteemed Mercury Prize for his 1999 album OK. Synthesized tabla is also celebrated in electronic music – just ask Matmos or Panda Bear. Any article about the influence of raga and Indian classical musical instruments on electronic music would be incomplete without mentioning Charanjit Singh’s 1982 album, Synthesizing: Ten Ragas To A Disco Beat. A composer for Bollywood films, Singh used what was then a brand new set of Roland instruments – the TB-303 bass line synth, TR-808 drum machine, and Jupiter-8 polysynth – for an album of interpretations of ten ragas. While it’s clear that Singh’s album was created simultaneously – and separately – from acid house pioneers, there is an uncanny resemblance between the repetitive raga bliss of Singh’s compositions and the explosive energy of early acid house. We’ve seen how aspects of Indian classical music traveled around the world, but what about your own music? With the Indian Raga pack from Gravitas Create, you get a full set of instruments for making your own raga-influenced compositions. With a variety of string instruments, drones, percussion, and vocals to work with, it’s an immersive pack based on an inspiring dialogue with millennia-old musics.